Diary entry on the Swellendam Area, 1798. Across the sandy, low-lying flats that lie east of Cape Town, a barrier of mountains interrupts the landscape. These are the Hottentots Holland, so named by early Dutch settlers who considered them the homeland of the indigenous Khoikhoi (men of men) peoples, then known as Hottentots. 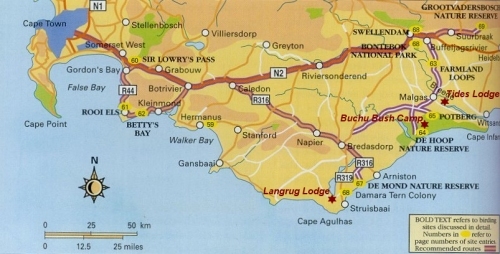 On the far side of these mountains, between the Langeberg range and the ocean, is the fertile Overberg, a gently undulating coastal plain that today lies predominantly under wheat. 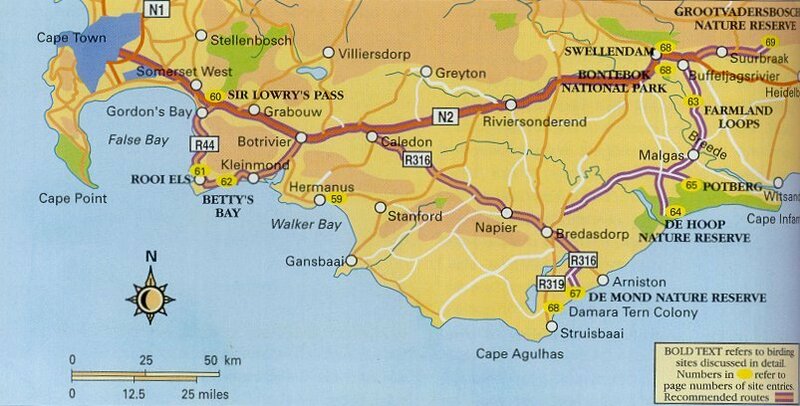 This region provides a large diversity of much-coveted species, from Cape Rockjumper to Blue Crane.